You are here: Home » PVC Mixing News » What Aspects Can Improve the Efficiency of Mixers? What Aspects Can Improve the Efficiency of Mixers? Currently, there are many types of mixing equipment, such as ribbon mixers, cone mixers, v-type mixers, and three-dimensional mixers. No matter what kind of mixers are used, their respective structures are different. For mixer users, the quality, uniformity, and efficiency of mixed materials are the main concerns, and efficiency has attracted attention in recent years. 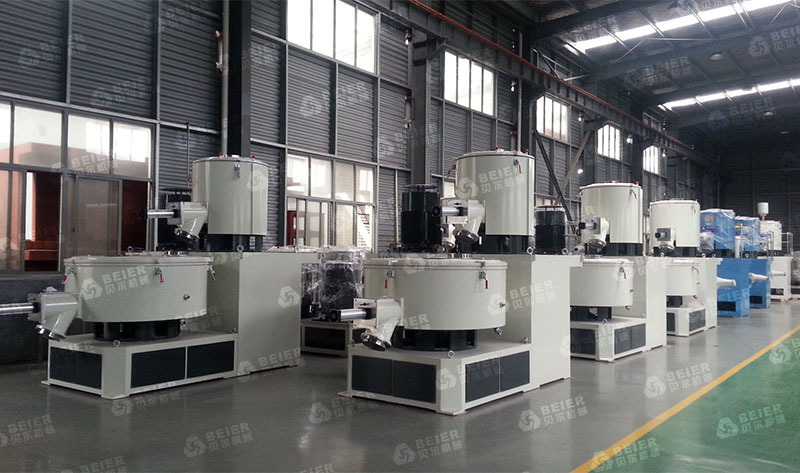 Therefore, improving the efficiency of mixers is the key to the success of hybrid equipment in the market. So, what factors can we use to increase the efficiency of the mixer? First, the choice of model should be taken into consideration when choosing the mixer. The efficiency of the mixer is largely determined by the manufacturing accuracy of the equipment itself and the efficiency of the airframe. When the user selects the model of the mixer, he should first understand the characteristics and special requirements of his product, and know how to achieve a certain mixing effect, so as to match the blade structure, equipment characteristics and functions of the mixer. Find the perfect model that meets your requirements. Second, understand the characteristics of the material mixture composition. Different mixes were made for the characteristics of different mixes. Mainly refers to the proportion of the material of the mixer, particle size, the roughness of the surface of the particles, moisture, looseness, agglomeration and the composition of the pellets. The smaller the difference in these physical properties, the better the mixing effect, the less separation after mixing, the smaller the proportion of a component in the mixture, ie, the greater the dilution ratio, the less likely it is to mix. In order to reduce the re-separation after mixing, viscous liquid components, such as molasses, etc., can be added near the time of completion in order to reduce their spalling and thus reduce the separation. Third, conduct standardized equipment operations. When an operator operates a mixing device, it is necessary to have a certain understanding of the market conditions, production processes, equipment operation and attention and emergency handling of the product, and in particular, training and practice of equipment operation and emergency measures. Good operating practices can improve the mixing efficiency and improve the product quality. Previous: What Factors Determine the Working Efficiency of High Speed Mixer?